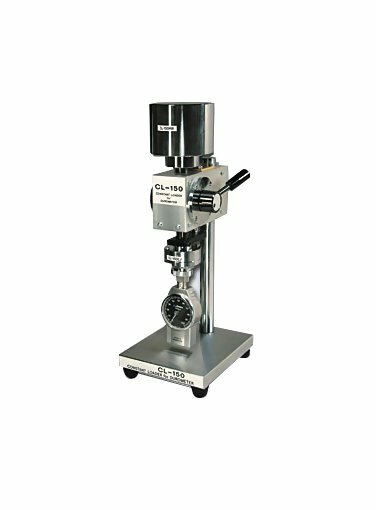 The Asker CL-150 Rubber and Plastic Hardness Tester eliminates different speed and load variables which occur when testing samples with a hand-held durometer. The test speed and load the durometer applies to rubber and plastic samples are kept constant with a pneumatic damper and a standard weight. In addition, our unique flexible coupling enables the presser foot of the durometer to make perfect contact even on samples with inclined surfaces.